Looking for a property in Teen Haath Naka? Have a property in Teen Haath Naka? Teen Hath Naka is the oldest of naka in Thane as it touches Thane to Mumbai. It is gateway to Mumbai. Very crowded with traffic all the time of the day nicely infrastructed with Signal lights on all roads.Total number of roads are 5 and all are highways one of which is Eastern Express. Teen Haath Naka, Thane is rated 7 out of 10 based on 1 user reviews. Have a good knowledge of Teen Haath Naka? Share it and become a Locality expert. 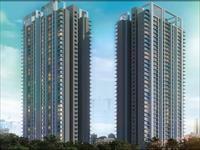 2 BHK For Sale In Spenta Countdown Outsmart, Teen Hath Naka, Thane West. ID: P5875893 — Posted: Feb 1 by .. .
ID: P71061571 — Posted: Mar 23 by Magnum . ID: P2044299 — Posted: Mar 15 by Magnum . ID: P31378106 — Posted: Mar 23 by Magnum .